Made to measure, Jay-Be® washable zip-on mattress protectors are a perfect fit for your Jay-Be® Folding Bed mattress. 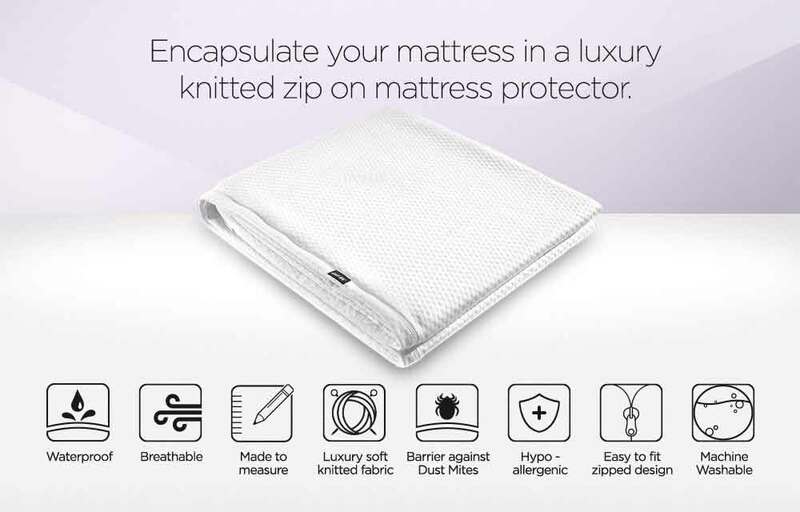 As well as guarding your mattress against liquids, potential stain damage, dust mites and allergens, the cover is also extra soft so it doubles up as a comfortable fitted sheet to sleep on. Designed with absolute practicality in mind, Jay-Be® mattress protectors are also fully machine washable and cover the whole mattress; and unlike other waterproof covers, the high tech membrane is silent and flexible for ultimate protection without that unpleasant plastic feel. The cover’s micro-pores also allow air to flow freely for a fresher and healthier sleeping environment.